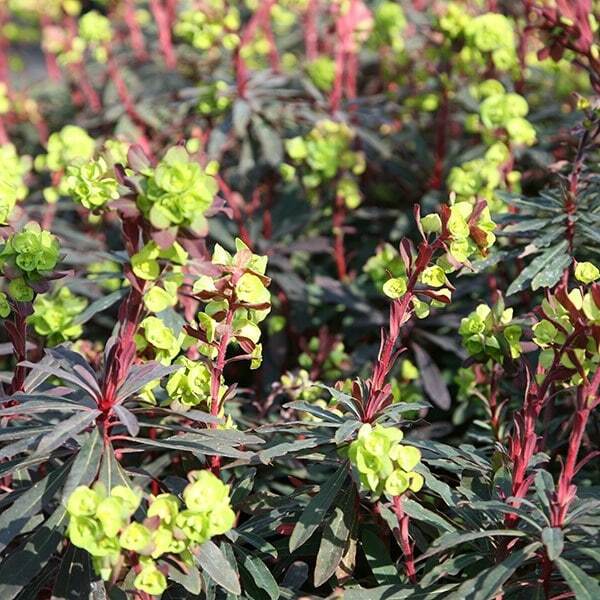 A compact, shade-loving euphorbia that has long-lasting, acid-yellow flowers in spring that contrast beautifully with the deep purple, strappy foliage strung in whorls around stiff stems. Try it towards the front of a border, where its foliage can be appreciated, or as a groundcover for a difficult, shady site, among spring-flowering bulbs such as narcissi. In a small garden it may need checking, since it self-seeds freely. Garden care: In autumn cut back the faded flower stems, avoiding new ones on which next year's flowers will appear. When working with spurges, always wear gloves since the milky sap is poisonous and a potential skin irritant. Remove unwanted seedlings each spring as part of routine border maintenance. Its too early in the year to be sure. As I live in SW Scotland, I have to plant tough, very hardy flowers. 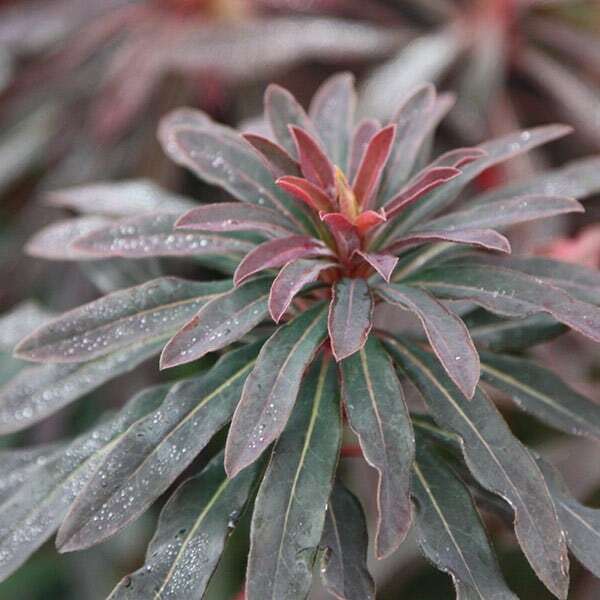 This Euphorbia has good red/purple stems and seems very hardy - has withstood a very long winter (planted last Autumn) - and now appears to be healthy in spite of so many frosts, some severe (like the present minus 5 C.) We have had plenty of snow this winter and gale force winds. Now that April is here I anticipate growth so that I can spred the plant. I have enjoyed the long 'flowering' season of this family but never used this species before. It suits my requirement for low-growing tough plants. Have difficult dry site under and around a tall Yew . I need ground cover and something to flower in Spring ,early Summer before other perennials in front of it grow up. What can you suggest?